Qcity is a cryptocurrency that is traded on the exchange like existing cryptocurrency, and Qcoin solves the problem of price volatility and the delay of payment time by maintaining a fixed value of 1:1 with each local currency. 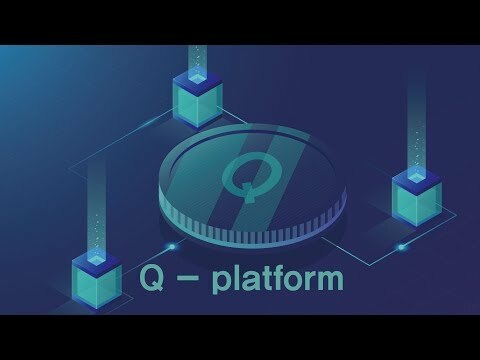 Qcity is a utility cryptocurrency that built on the Q-platform as a blockchain-based business platform and is used within the Q-platform to create separate trading vehicle called Qcoin. At the Q-platform, merchants will deposit Qcity into the deductible fund under the autonomous protocol and deposit transaction service fee will be paid by Qcity. The Q platforms member-stores become each node, able to participate directly in the platform operating and making decisions for mutual benefit receiving various services such as joint purchase or contract and generate profits. Members will be able to share and find such services within the platform that can be sourced and delivered to the members of Q-city. Qcity main-net and related services were developed in November 2017. The reliability of the block and network has been reviewed by operating the main-net stably for more than one year. Core, wallet, Explorer, Mining pool. Qnapse Co., LTD offices open. Associations and institutions business partnership. Instant Daily Card Sale Payment. P2P loan between Q-shops without intermediaries. Shop's Qcoin to the public. Qcoin launch in each country.